Hello !! This is a quick post to let you know that the section Vegas at Bet365 have added new cool slot games: Frankenstein (Net Ent) , Pyramid: Quest for Immortality (Net Ent). Bet365 Casino also added Jekyll & Hyde, Nostradamus and Juicy Booty. 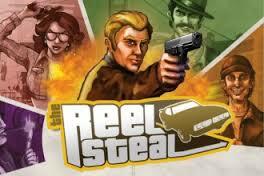 Five new slot games online ready for your money wagering !! 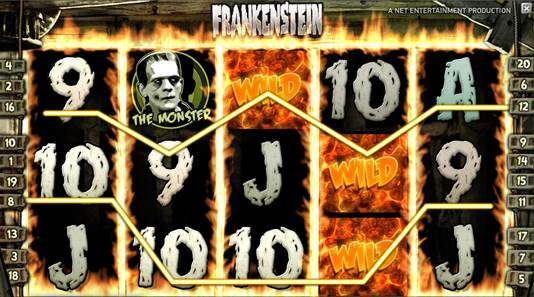 Frankenstein slot game calls my attention as I recently added a free version of Zombies slot here at Casino Billionaire... all this monster / zombies themed games is getting very popular on the internet and with the classic tale Frankenstein won't be different. Another good Egypt themed game is Pyramid: Quest for Immortality and it would be a success just like other popular games with this thematic like Cleopatra slot, Queen of the Nile, Crown of Egypt, Pharaohs Fortune and Queen of Riches. One of the most played slot game here at CasinoBillionaire is Cleopatra slot so Pyramid: Quest for Immortality would be one of the preferred game for those who like a thematically-rich and aesthetically-pleasing video slot game. Escape from Dr Frankenstein’s Laboratory and enjoy up to 10 free spins as this classic tale comes to life. 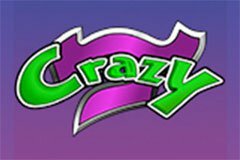 This is an electrifying 5-reel, 20-line video slot that features Burning Mill Free Spins and the first ever use of Linked Wild wins - the latest ground breaking feature from Net Entertainment. This Net Ent Slot opens the door into the ancient world of Pharaohs and Gods in a wondrous and breath-taking journey back in time. 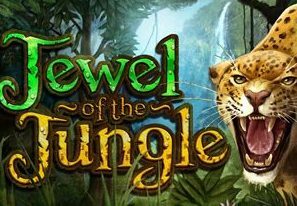 There are 720 ways to win in this 5-reel video slot that features Wild Substitutions, Wild Generations, a Multiplier and the Avalanche feature. 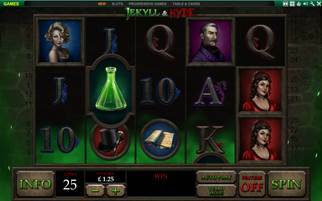 Jekyll & Hyde is a 5-reel, 20-line slot themed on the classic gothic tale of Dr. Jekyll and Mr. Hyde. Take a gamble with the transformative Feature Bet for a better chance at Free Spins! Choose between controlling big multipliers with Jekyll, or release you WILD side with Hyde! 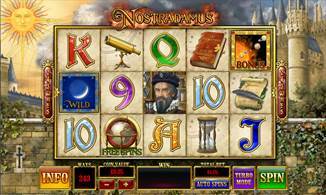 Nostradamus is a 5-reel, 243-Ways slot game based on the predictions of the legendary historical figure. Trigger the Free Spins Bonus with 3 reel modifiers for symbol upgrades, stacked wilds and more! With astronomical prizes to be found in the Planets bonus, is there a big win in your fortune? Spin the reels and find out with the Prophecy Slot! Unlock Captain Lemmy’s tremendous treasure in Juicy Booty! 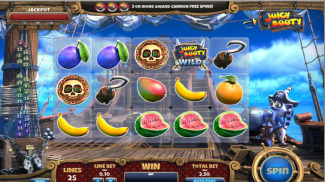 Be a real swashbuckler in the Fruit Slice Feature for bigger symbol combos, or fire the cannons for explosive 15 symbol line wins in Cannon Free Spins. Take aim in the Fruit Shoot bonus for a shot at the Jackpot Treasure! Comment: Bet365 releases new online slots at Casino and Vegas section. Frankenstein (Net Ent) , Pyramid: Quest for Immortality (Net Ent) are available at Bet365 Vegas. At Bet365 Casino the new games are Jekyll & Hyde, Nostradamus and Juicy Booty. 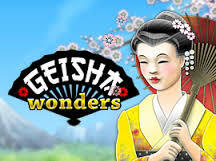 All the latest slots to play with real money and win big cash jackpots.